So while my mind has started to think a lot more about the gold handmaiden I'm happily working away on the gaulle. All the pictures are dreadful, it's past midnight, I just have the camera on my phone, and not enough light in my living room. 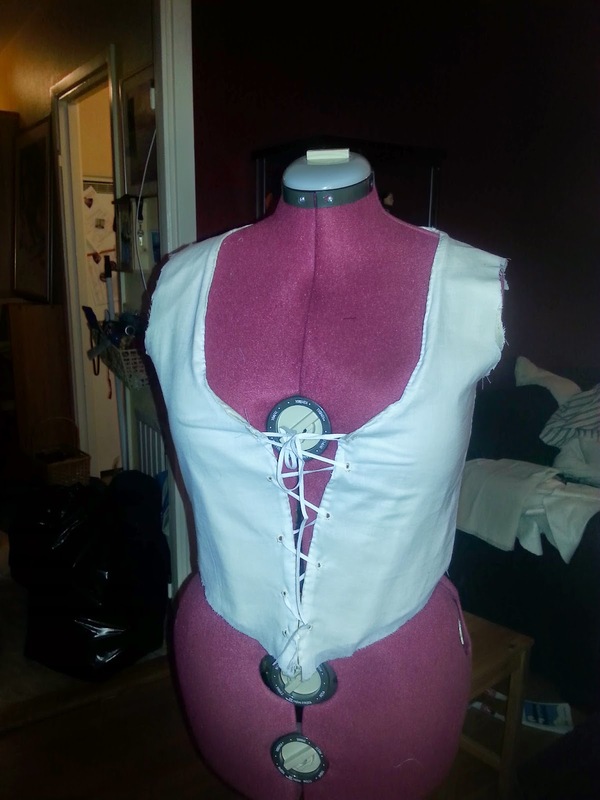 The one thing I have finished now is the basic bodice. I've used a fine linen, but not as thin as for the cap, and cotton voile. The cotton voile turned out to be even more transparent than I had thought, so I had to think a lot about what I would do to not have any raw edges from the fabric or the lining showing through. This lead to my decision to make as much as possible by hand. I've sewed the main seams of the bodice on the machine, but I've felled all the seams by hand, and I did the shoulder seams fully by hand. 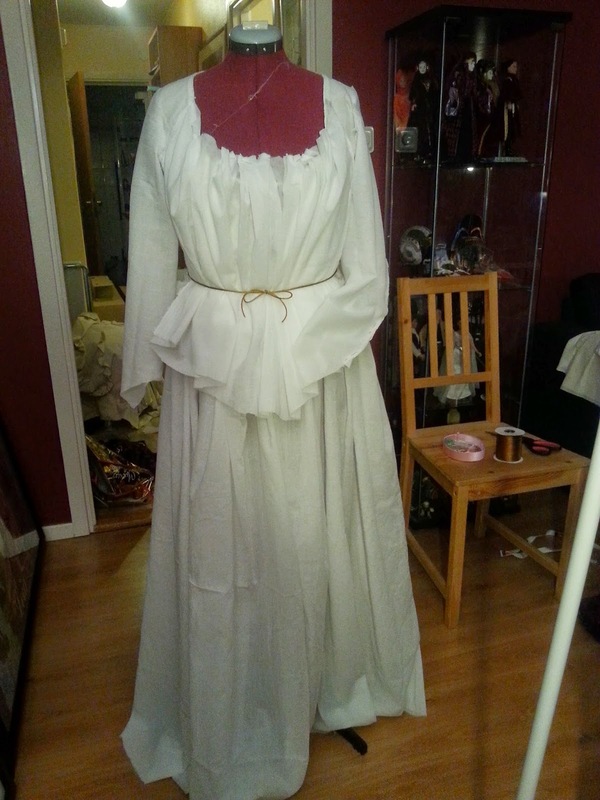 The voile is edgestitched to the lining. I even did one thing that I have dreaded for a long time and made the eyelets by hand. The voile is so sheer that it wouldn't have handled metal eyelets well. 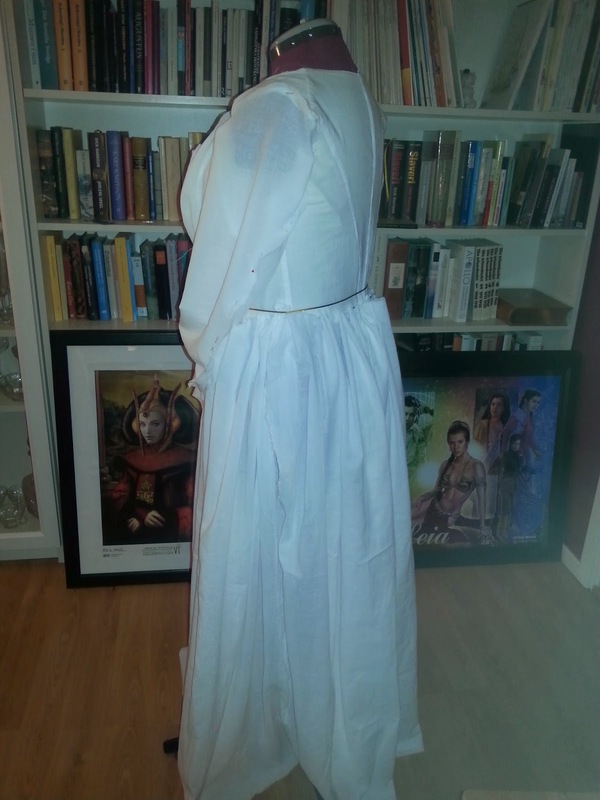 Having finished the bodice I knew it was too late to start on anything else. Unless I have a very set deadline I try not to sew after midnight. I wanted to get a feel for the shape of the whole gown though so I pin everything to the dressform and see if it started to look like a gaulle. It was a good thing that I did. I'm pretty sure that I want more fabric on the front, I only have scraps left but it should be enough to add some to it. I'm also going to make the sleeves more narrow at the wrists. Now I'm going away over Easter, but I'm really looking forward to continue this when I come back. Looking nice! 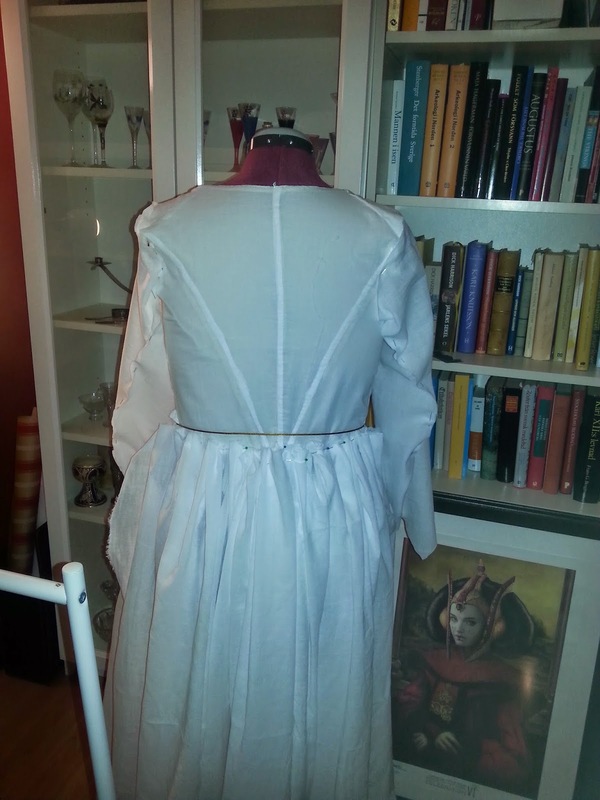 I made my chemise a la reine with French seams. Not at all sure if it's period, but it made it all looking very neat on the inside.